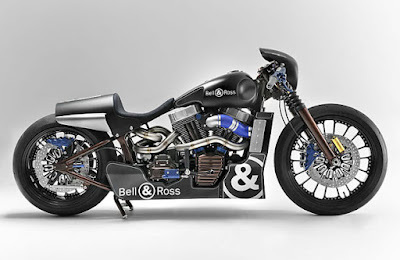 Back in 2011, the iconic American motorcycle brand and the American watchmaker have collaborated in turning a Harley-Davidson FXSTB Softail Nightrain into a creative mash-up that features a Bell & Ross BR 01 Carbon watch installed in the handcrafted center console using a machined section of aluminum. The special edition bike, which was overseen by Shaw Speed ​​& Custom, the leading Harley-Davidson dealership in the UK has earned the most prestigious title of being the best UK dealer 6-times, is a one-off edition that has been christened as the "Nascafe Racer". In building the bike, Shaw stripped the Harley back to its bare ‘n bones state before implanting the B&R watch into the center console. 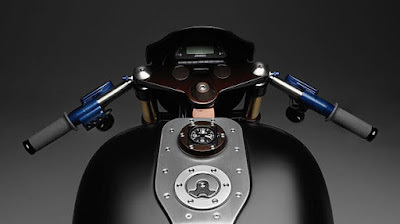 The motorcycle has been stripped down to even diminutive details including nuts and bolts. 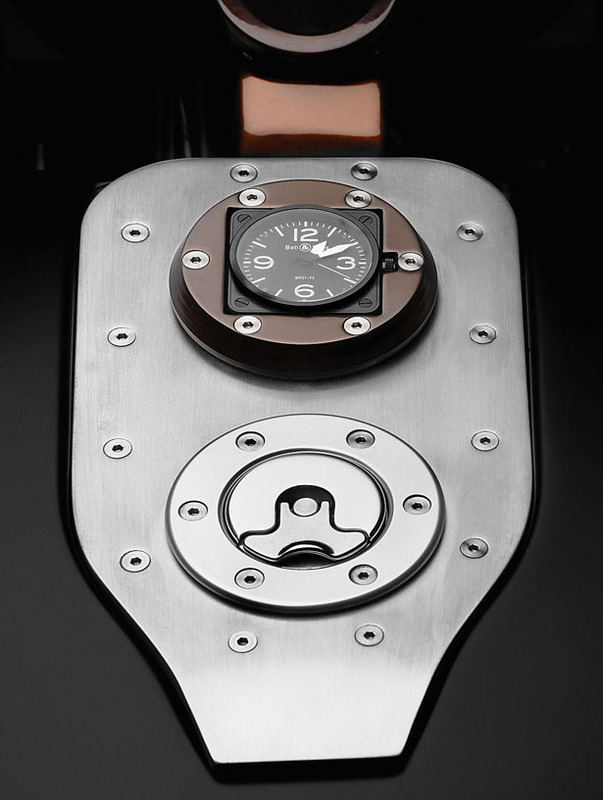 The Shaw Speed as well as Custom Speed mounted a Bell & Ross BR 01 Carbon timepiece in a handmade center console with the help of a machined section of aluminum.